1 Peter 4:10 – As each one has received a gift, use it to serve one another as good stewards of God’s varied grace. Immaculate Heart of Mary is home to many ministries that are all focused on God. Whether it is singing, serving, or helping the needy, all of our ministries are here to bring others closer to God. Many of our ministries provide fellowship to help us get to know other parishioners and to also strengthen our relationship with God. The many ministries here at IHM help us become stewards of Our Lord through a variety of ways! 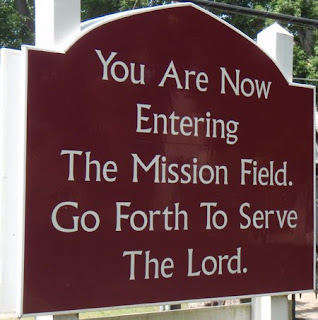 Please feel free to check out any of our ministries and groups and join in on this journey of serving others and serving God. Discipleship, practicing what Jesus preached and living how he lived, is the vocation of parishioners from seniors on down to the young children of the parish. This call to live out our faith in everyday tasks, to live “in Christ,” is an essential part of who we are at IHM. Called by our baptism and confirmation and drawn into communion with God through liturgy, we are continuously formed and transformed to be the Body of Christ in our world.